Tambdi Surla is a village in the interiors of Goa, which has a small but beautiful Mahadev temple. Tambdi surla is about 60kms from Panjim, but is closer while returning from Doodhsagar. 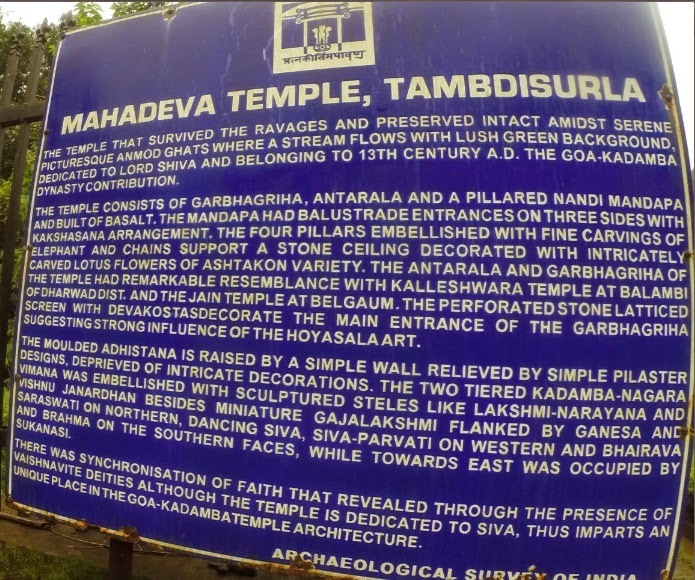 I've made a short less than 1 min video of Tambdi Surla Mahadev temple in Goa. Please watch it below. Temple campus is well maintained, a stream flows nearby and is worth a short visit. Wikipedia has more historic details, pls check here. Nice pictures. Surprisingly I have never heard of this temple!